Red Hot Sale 2017: Gone are the days when you have to wait at a time to book a plane ticket that is just too expensive to get. However, with the presence of a number of low cost airlines like AirAsia, we can now purchase cheap tickets to some of our desired destinations. With this current Red Hot Sale, expect low fares for a 2018 travel period. The cheapest you can get this time is at Php 317 all-in one way fare. That's flying from Cebu to destinations like Davao, Puerto Princesa (Palawan) and a lot more. Enjoy booking your tickets until June 11, 2017. The 24-hour booking priority for AIRASIA BIG Members is over. So you can go ahead to AirAsia's website any time within the booking period to purchase your plane tickets. 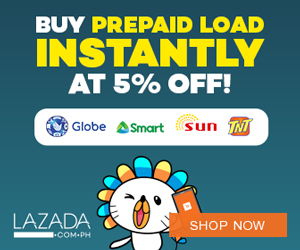 Travel period of this Red Hot Sale is from January 15, 2018 to August 28, 2018. Now let us check the cheapest fares that you can get. Rates are exclusive of Domestic Passenger Service Charge, Web Admin Fee/Booking Processing Fee and Country Specific Charges/taxes. There are a lot of fares that are still below Php 2K for both domestic and international flights. 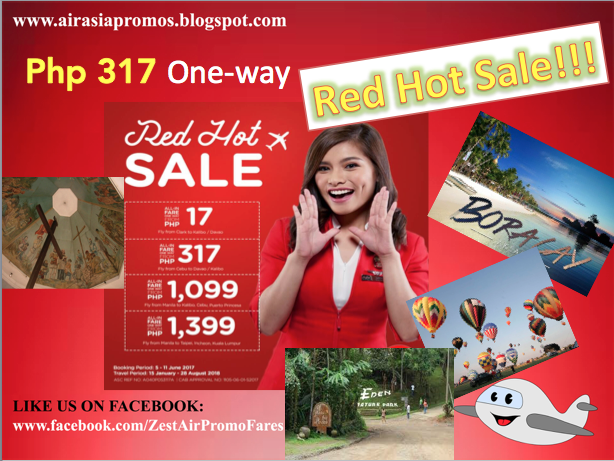 So hope you have an idea now of this ongoing Red Hot Sale from AirAsia Philippines. Take advantage of this promo offering with this low cost airline. You still have a few days to book this promo fare. Keep flying and happy booking!